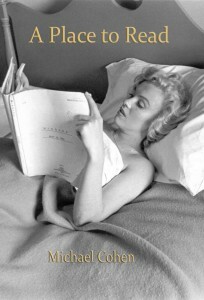 You can learn more about Jock Carroll’s photos of MM in his 1996 book, Falling For Marilyn: The Lost Niagara Collection. 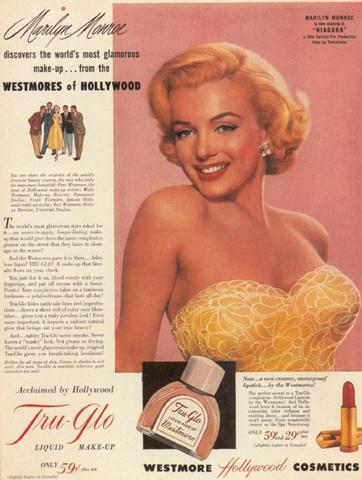 More than sixty years before Max Factor chose Marilyn as their poster girl, her image was regularly used to promote House of Westmore, Hollywood’s homegrown beauty business. Mary Mallory has investigated the company’s glamorous past for her L.A. Daily Mirror blog. “Patriarch George Westmore introduced the family to the beauty field back in England, getting his start at as an assistant to a barber…Westmore became a successful wigmaker, before moving the family to New Orleans and eventually to Los Angeles. Once in the city of Angels, Westmore established the first film makeup and hair department at Selig Studios on Edendale Boulevard in 1917. His six sons (Montague or ‘Mont’, Perc and his twin Ernest Henry ‘Ern’, Walter or ‘Wally’, George Hamilton or ‘Bud’, and Frank) followed him into the hair and makeup business, with a Westmore heading every studio Hair and Makeup Department at some time, except for MGM and Columbia. Perc soon realized that the family could earn more money working on their own rather than creating products for a major competitor, leading to the creation of the House of Westmore…Thus was born one of the most potent competitors to Max Factor and his dominion over Hollywood cosmetics. The Westmores acquired a lovely building at 6638 Sunset Blvd…The lavishly decorated salon finally opened April 16, 1935 with hundreds in attendance, including many of the Hollywood hoi polloi…Golden doors decorated with the Westmore coat of arms welcomed all who entered the pleasure palace, leading to a luscious art deco foyer. Floor to ceiling mirrors and peach blush carpets filled the structure, along with white silk drapes and white, bronze, and coral color furniture. White and gold telephones occupied each cubicle. 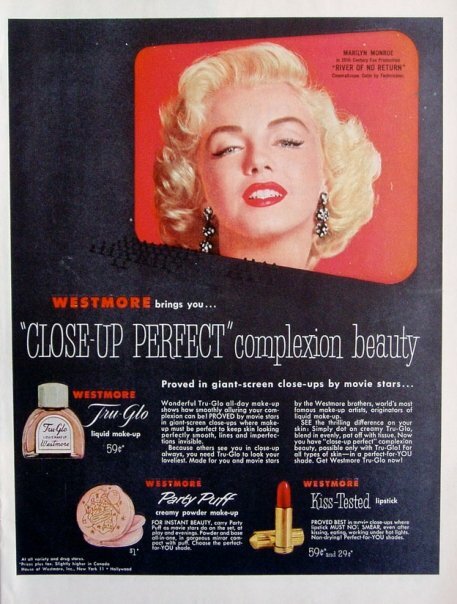 Quickly copying the advertising strategies of fellow competitors Max Factor and Elizabeth Arden, the family established Westmore’s News Service in their beauty establishment, which mailed out press releases noting Westmore beauty suggestions to syndicated newspaper columns and radio programs, highlighting special products created by the brothers, and announcing special honors and appearances. The Westmores established their own cosmetics plant at Sunset Boulevard and Gordon Street and began selling products in the fall of 1935, the true cash cow of any beauty establishment. 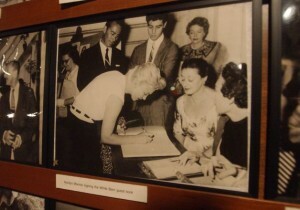 Attendance sagged in the 1950s as more competition entered the scene, women moved further west, and the brothers grew older. By the 1960s, the disintegrating neighborhood and dilapidated building led to the House of Westmore’s demise on August 10, 1965. 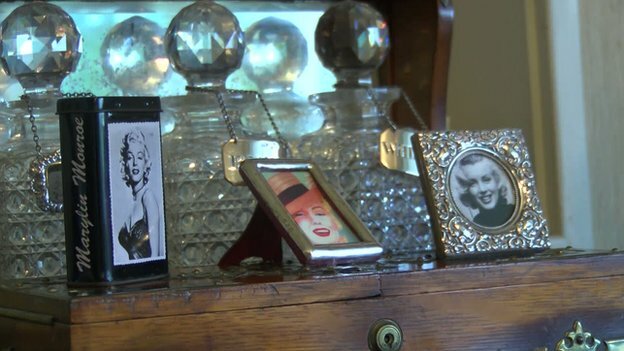 One of the world’s leading collectors of Marilyn memorabilia, David Gainsborough Roberts, will be selling his collection next year – probably in time for her 90th birthday, reports BBC News. I was fortunate enough to see part of Mr Roberts’ collection at Renishaw Hall in Derbyshire (ancestral home of Marilyn’s poet friend, Dame Edith Sitwell), back in 2005. You can order a catalogue from the American Museum in Bath. Joe Franklin, who co-authored the first American biography of Marilyn in 1953, has died aged 88, reports the Chicago Tribune. Born less than two months before Marilyn, his childhood friend was Bernard Schwartz (better known as Tony Curtis.) He began his radio career as a teenager, and is credited as a pioneer of the television talk show. 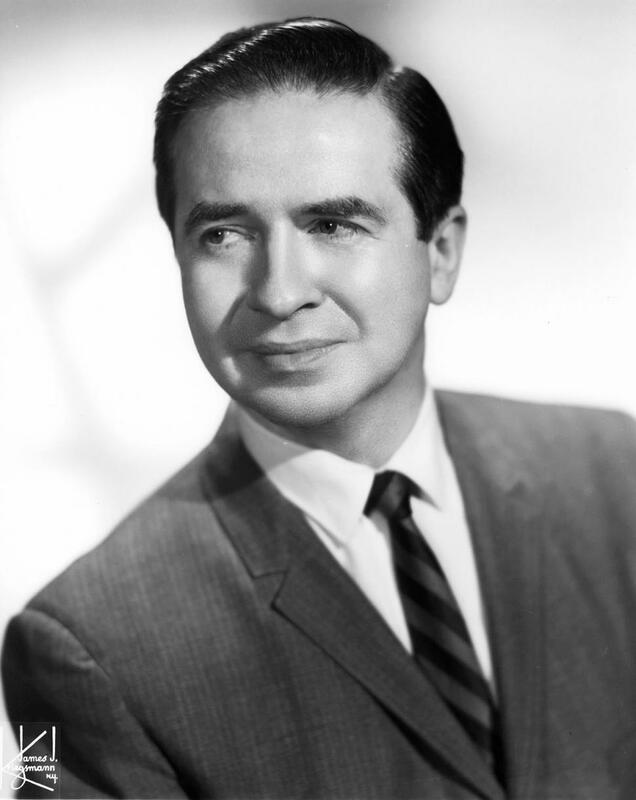 The Joe Franklin Show ran for 42 years – a decade longer than Johnny Carson’s. 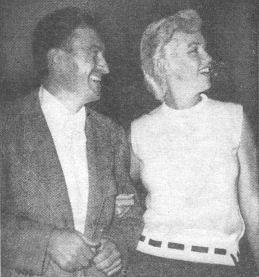 Nonetheless, The Marilyn Monroe Story has become a highly valuable collector’s item, largely because it was published during her lifetime. It was reissued in paperback in 2012. In his own memoir, Up Late with Joe Franklin, he appeared to have claimed a ‘brief, intimate encounter’ with Marilyn, but in a 2011 interview for the Emmys website, he set the record straight. 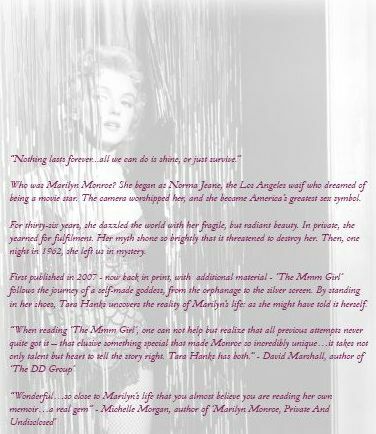 I’m delighted to announce that The Mmm Girl, my novel about the life of Marilyn Monroe, is finally back in print. 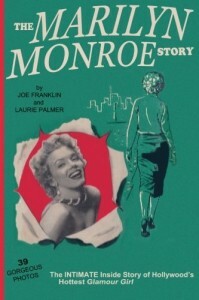 This edition includes a new prologue and ten additional passages: including Marilyn’s diverse encounters with teenage fans and world leaders; intimate photo shoots, a rare stage appearance, and a trip to Mexico; and a closer look behind the scenes of her many movies, from early bit parts to timeless classics. The Mmm Girl is now available from Amazon worldwide, in paperback (UK, £8.24; US, $12.50); and via Kindle (UK, £3.29; US, $4.93.) While I can’t provide signed copies, I’ll be happy to send a signed bookplate, free of charge, to anyone who wants it. You can contact me here. You can preview the first four chapters on Amazon, or read further extracts and reviews, and view the book trailer, right here. And of course, after you’ve read the book (and hopefully enjoyed it), please consider writing a short customer review on Amazon or Goodreads. In an article for Bustle, Lara Rutherford-Morrison lists ’10 Classic Movies You’ve Never Seen, Starring Actors You Already Love, That You’re About To Be Obsessed With.’ While Bus Stop, and the other selections on this list are hardly obscure, for those less familiar with classic movies, it’s a worthy discovery. 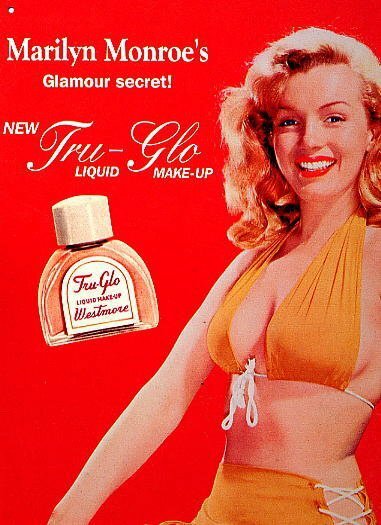 Should Advertisers Let Marilyn Rest in Peace? Following Sarah Churchwell’s Guardian piece about the appropriation of Marilyn’s image in a new Max Factor campaign, Karen Yossman adds further criticism in the New Statesman. 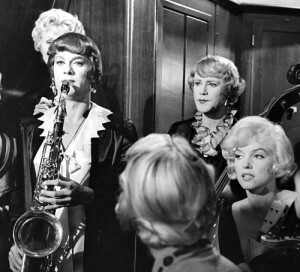 “If still alive today Monroe, Hepburn and Kelly would all have been in their 80s. Dietrich would have been 113. But the images seared into public consciousness – and proliferated by advertisers – are of these women at their aesthetic peak. The same, youthful photographs are continuously recycled on social media (sometimes emblazoned with a wrongly-attributed inspirational quotation), in print and online, effectively reducing Marilyn et al to the status of cartoon characters.